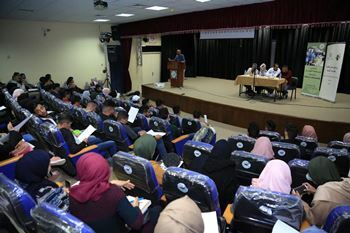 MIFTAH recently held two meetings with students from Hebron and Birzeit universities on the role of and ways to develop the General Union of Palestinian Students [GUPS]. Dozens of students attended the meetings including student movement representatives and several political science professors in both universities. MIFTAH project manager Hassan Mahareeq said the meetings were part of MIFTAH’s efforts to influence public policies and internal regulations of the active parties in the Palestinian arena, to guarantee the fair representation of youth within these bodies as a way of guaranteeing social justice and equality and also to reinforce the principles of democracy and good governance. He said the efforts were also aimed at restoring one body of representation for youth within the PLO framework. 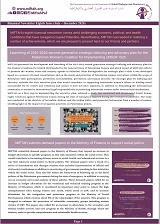 During the meetings, a factsheet was presented that showcased the most important stages in the history of the Palestinian student movement, which culminated in the establishment of GUPS. The most significant markers of the union were discussed , including the conferences it held. The participants also discussed the continued development of its structures and how to revitalize its role in a way that coincides with the socio-political changes in Palestine. In this context, discussions were held about the structure of GUPS, its national conference, board of directors and executive and administrative boards. They also addressed the representation of GUPS’ branches and units stemming from this structure in addition to presenting the current situation of the student union, especially after the convention of its conferences was halted in 1990. 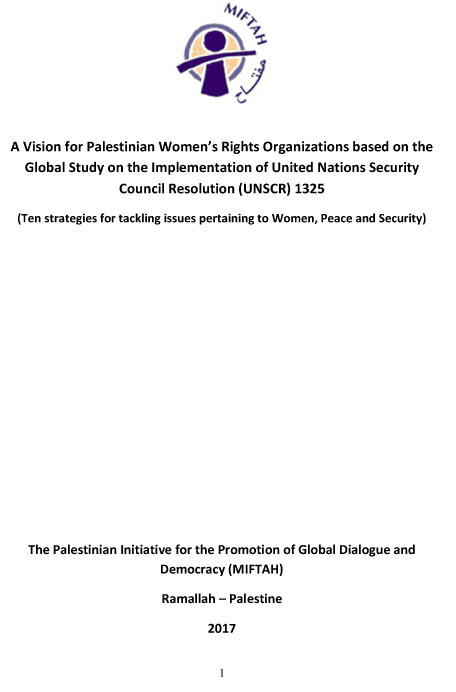 This was followed by attempts to revive the democratic process in GUPS in 1998 through the convention of its Board of Directors in Gaza, which resulted in the election of a new executive body. The recommendations of the participants in these meetings regarding the necessary interventions for reviving GUPS were varied. They included: a call to amend its current electoral system; putting pressure on decision-makers in the PLO through resuscitating the various student movement parties and demanding that their rights are honored in assuming the administration of the bodies they represent; putting pressure on political parties and factions to assume their responsibilities in activating GUPS and taking the demands of the student movement seriously to elevate the role of GUPS as a unifying body for this movement; adopting larger representation of females in the union and specifying the age of its president and the number of times he/she can be elected to the post. The participants also maintained the laxity of PLO political parties lies in the clear exclusion of the role of youth in these bodies and not allowing them to develop their parties in line with future demands and challenges. This, they said, requires the intervention of decision-makers from within these parties to restore the true role of the student movement and to guarantee the independence of its decisions. It should be mentioned that GUPS is the most important popular union for the student movement; it is considered the legitimate channel for guaranteeing representation of the student movement in PLO bodies in addition to creating policies pertaining to elevating youth endeavors and integrating and including them in public affairs.